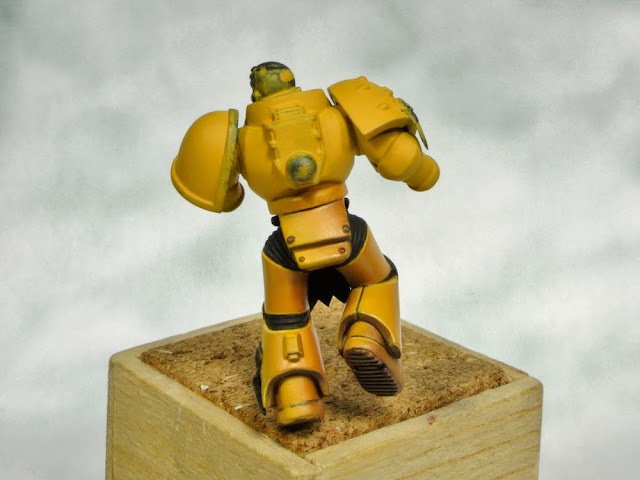 This is my first time to paint the whole mini with yellow. 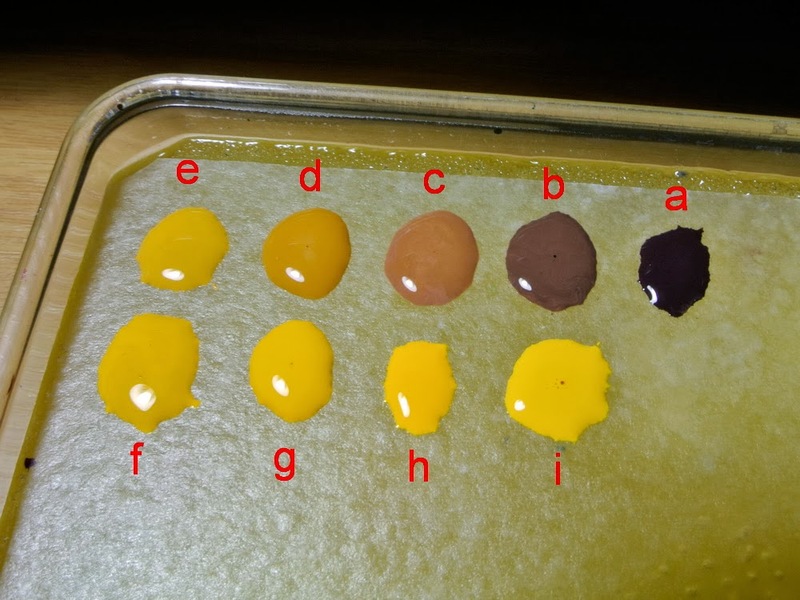 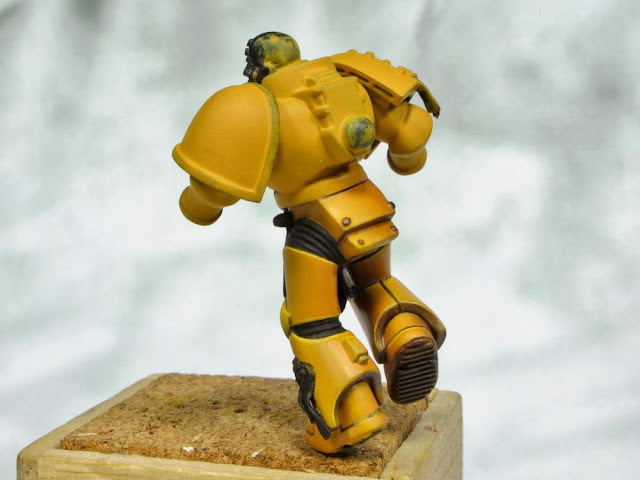 This color is very difficult to paint especially when painted with a brush. 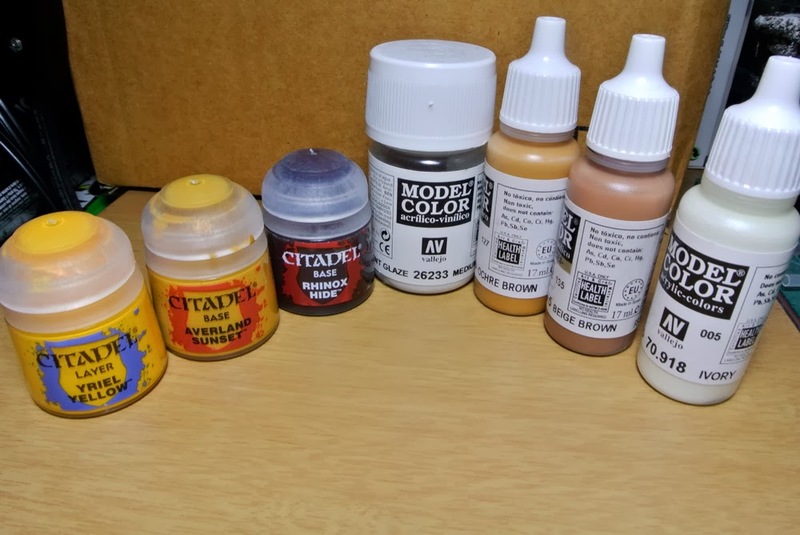 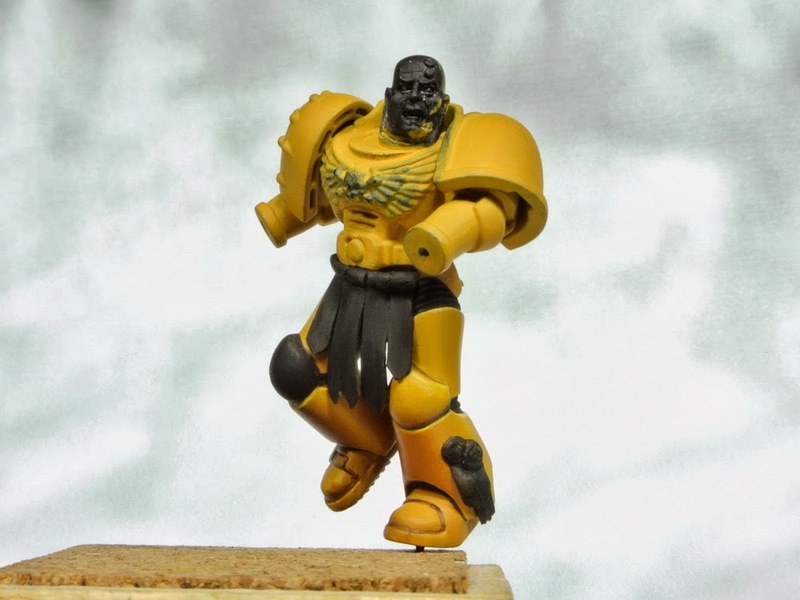 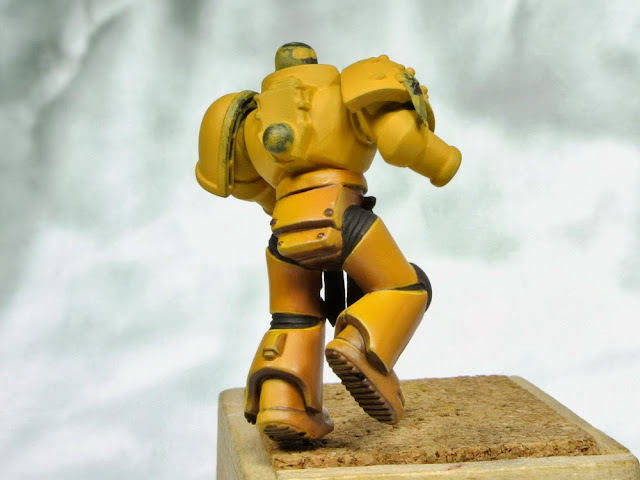 It took several hours to paint yellow base color over the black base coat (as I usually spray on my mini) , because the yellow is slightly translucent than other colors and it requires recoating many times in order to give the yellow opaque and covers all of the black base coat.